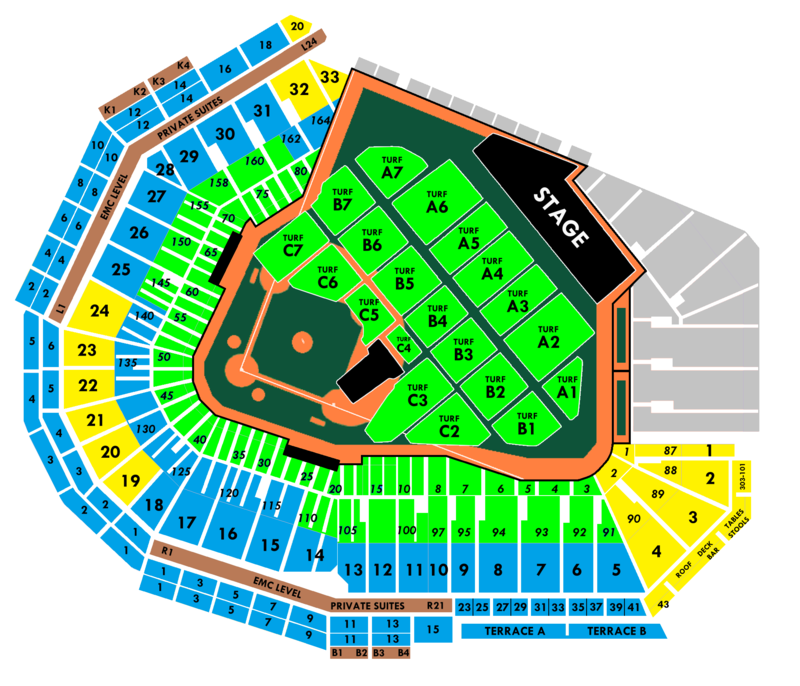 Discussion Fenway, where to sit thread? Fenway, where to sit thread? So my wife and i needed 4 tickets total and were lucky enough to score 2 in section 32 next to the stage (limited view?) and 2 in g20 behind home plate. Anyone know which seats are better? Im thinking we roll the dice and take the closer side stage view. G20 will give you a straight on view but you'll be far away. 32 will at least be a partial view. I would probably go with those. I agree. Based on the map they look pretty close. I'd probably do the 32 also. Behind the plate is a long way from the stage. great for a baseball game, lousy for a concert. I've sat pretty much behind the plate at Wrigley (which I'm assuming is similar in size to Fenway), and it was VERY far away. I would prob go with the side view. If you go to the red sox website there is a virtual view that also gives you an idea of how the seats may look. Thanks everyone G32 it is for Sunday! Good choice. I think you'll have a good angle. Can someone tell me where R29 is? Is it the section way up on the right side of the field or the lower section on left side of field? I am going to guess you are in the right field roofbox. I am in G29 and the G is for grandstand. Try this out and you should get an idea of your seats. That is the roofbox in right field. I'm in 35. I haven't sat there, but I've been told by people that have that they are great seats. Great angle and the sound is pretty good. Cheers! After getting skuned by the 10c, I also pulled tickets in the Right Field Roof Box (I thought they were down the line in LF, closer to the stage when I bought them) and can't decide if I should upgrade on Stubhub. I'm flying in my family of 4, staying 4 nights at an expensive hotel near Fenway, going to the Tuesday Red Sox game, etc. So the extra money for tickets would be a drop in the bucket compared to what the entire trip is costing me. But it isn't like there are even that good of seats available on Stubhub because of the 10c allotment. Any Boston people have any advice? Are the best seats the scalpers have available (Rear of the Field, or the lower Field boxes) going to be any better than the RF Roofbox seats? Are they for Friday? If you do want to upgrade I'd gladly buy two of those roof box seats off of you. Have Box 3 seats , can anyone tell me if that is the "B3" section on the field or is it somewhere else? Right field box 3? With some questions about the view from Fenway's Right Field Roof seats, I thought I would post a couple shots that I took on Opening Day back on 4/11/05 (one zoomed in a little). Seats were RFR Box 41 Row D. Location provided amazing views of the banner & ring ceremonies. As a life long Red Sox fan, this was one of the most memorable games I've ever been to. Depending on how close you want to be to the stage for this concert, these RFR seats look pretty good for Pearl Jam... http://s1108.photobucket.com/user/rockandrollpics/library/?sort=3&page=1 Wherever you all sit, have a blast! My advice would be to not worry too much about where your seats are. There are going to be very few spots around Fenway where the seats are "good" by concert standards. It's too big for that. So you will end up paying a premium on the secondary market while not really improving your seats that much. I say just go with what you have, enjoy the experience and music and the setlist that is sure to be crazy. I have noticed that upgrading on Stubhub is ridiculously expensive. I am in the Grandstands and will have an "I" beam sort of in my line of sight. It will be off to the side of the stage a bit. Has anyone been to Fenway and had seats in the grandstands? How distracting is the "I" beam? Glad to help DP13! Looking forward to night 2 @ Fenway! Right Field Roof are awesome seats. Be very very happy!